During the last winter season, two athletes (Sid Isidro and Jeff dela Cruz) of the Philippine coastguard were trained as bobpilots in Innsbruck aiming for the Olympics in Bejing in 2022. The project was supported by Olympiaworld Innsbruck (Dr.Bielowski) and sponsors from Tirol and the Philippines, among them the Philippine Consul in Tirol Dr.Christian Traweger and Consul Buddy Cunanan from Manila. 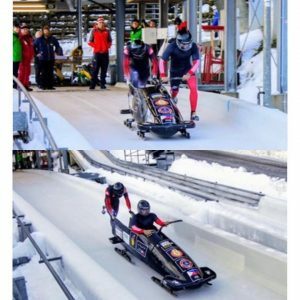 Highlight was the Europacup race in Januaray 2018 and other races in the Icechannel of Igls. Thanks to Mr.Martin Pabst from the ORF for the great footage – Salamat !! !